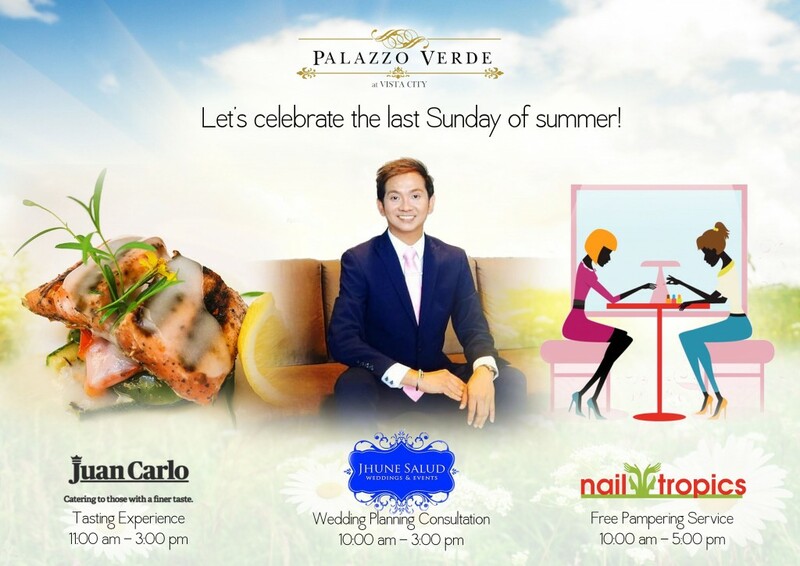 Celebrate the last weekend of Summer at Palazzo Verde! We are celebrating the last days of summer with fun this weekend! Visit our sales office and enjoy our sangria and canape servings. When you book your event, you can pick-a-prize and win an awesome gift! On Sunday, Juan Carlo the Caterer is hosting a Tasting Experience. We will also have an event consultation by Jhune Salud. FREE pampering for the brides as well, courtesy of Nail Tropics! Book your event this weekend, May 28-29, and enjoy big discounts and promo items. 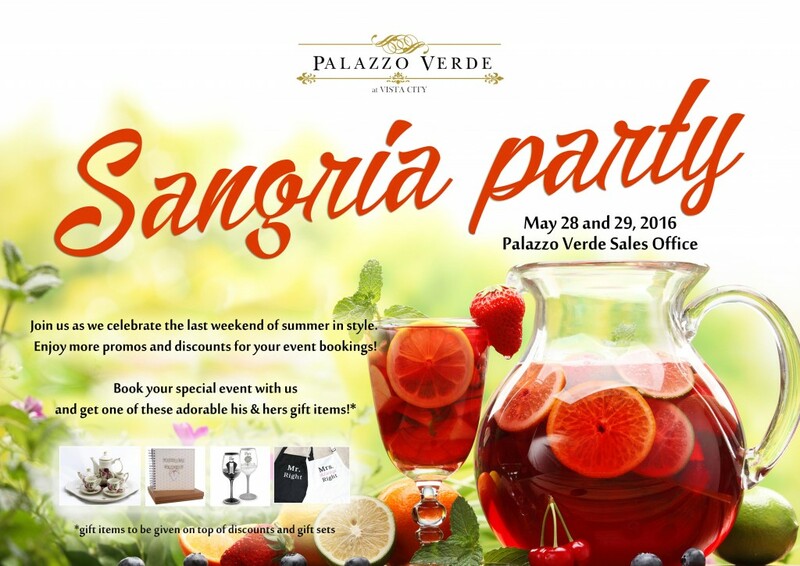 To RSVP, call (02) 710-8545, (02) 710-8608 or email us at info@palazzoverde.com.ph.